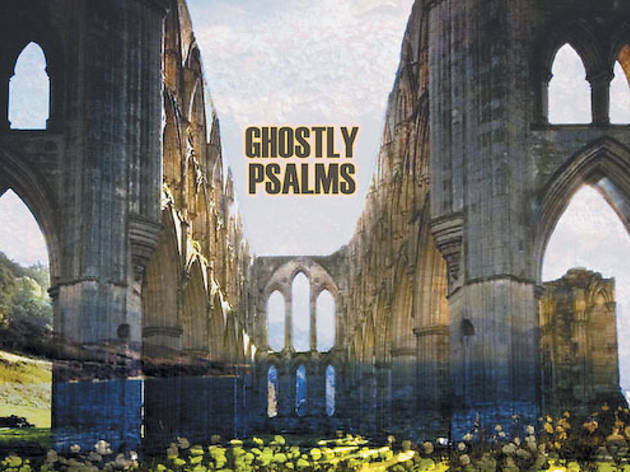 Philip Blackburn goes big, big, big and sensual on the astronomic Ghostly Psalms. 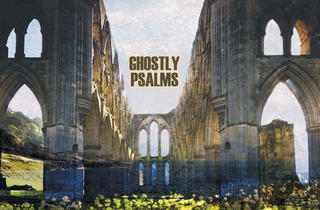 Ghostly Psalms would be best delivered by a 50-foot-tall orchestrion, plopped in the center of the city, not by CD. The exemplary recording and production give that impression anyway. From the opening herald of a conch shell onward, listeners will find the walls swelling outward. Composer Philip Blackburn describes the piece in his liner notes as a “Universe Cantata” inspired by a dream. While the experience is often phantasmic, Blackburn grounds the illusions with familiar, earthly timbres, such as that of the cello or human speech. Take the eighth section, “Scratch I-Ching,” in which nuns of the Sisters of Notre Dame each play a disembodied organ pipe in a human rhythmicon. The experience is wonderfully disorienting, trancelike without dissolving into meditation. Section one, “Jungle Litany,” features sprechstimme in five languages, while “Draw On, Sweet Night” uses EEG and EKG sensors to trigger snippets of Hildegard von Bingen by brainwave and muscle movement. The devices may sound cerebral, but the listening experience is decidedly organic, if blissfully overwhelming. “Duluth Harbor Serenade” is just as immense as the record’s titular piece, a living symphony of lift bridge alarm bells, rail horns and chain saws. It captures what Blackburn does most compellingly—draw focus to the terrestrial music that surrounds us.